Steve Hyde, Kimberlie Hackett , Cherie and John Protor,, Kierin Beach and Robert Hyde. A gala that has been held every year on the same day for 20 years might have to be cancelled due to roadworks. Organisers of Queen’s Park Gala in Castleford said they found out that major works would block the road and massively disrupt the event just two weeks before it was due to take place. It looks like the gala will now be cancelled, losing money for the community group behind the scheme while families are forced to miss out. It costs £4,000-£5,000 for community group Revalued to put the festival on each year, a sum it makes through its own fundraising without outside help. Mr Hyde said the group stands to lose around £1,000 in deposits if the event is unable to go ahead. Graham West, acting service director for planning, highways and transportation at Wakefield Council, said: “We try to work with utility companies when they are carrying out essential repairs, to minimise the impact of the work on local communities. We have been in contact with the organisers of Queen’s Park Gala, and we want to continue to work with them to find solutions, as we fully appreciate the importance of this event. 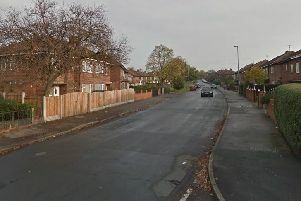 “The utility company will be carrying out works on Ferrybridge Road, outside the Castleford High School on the day of the event.